While most people consider Eastown to be Grand Rapids’ quirkiest and hippest neighborhood, an area just west has been slowly gaining traction as the city’s coolest neighborhood. Join Blu House Properties as we explore Grand Rapids’ coolest neighborhood: East Hills. While East Hills doesn’t have the notoriety that Eastown does, it definitely has boundaries and history. The East Hills border is Union Avenue to the west (Heritage Hill), Fulton Street to the north (Midtown), Fuller Avenue to the east (Eastown) and Wealthy Street to the south (Baxter). East Hills also encompasses all or parts of the Wealthy Theater Historic District, the Cherry Hill Historic District and the Fairmount Square Historic District. This preservation of most of the neighborhood has led to lots of architectural character and continuity of the neighborhood, and has been a source of neighborhood pride. While history and the neighborhood definition is important, we understand you’d like to know where the great food and drink is. Some must-eat restaurants include: Marie Catrib’s for it’s healthier, Mediterranean fare; Brick Road Pizza Company for it’s garlicky Italian entrees that are vegan-friendly; Cherie Inn for longstanding, great, French-inspired breakfast; Donkey Taqueria for fire-roasted Mexican goodness, Electric Cheetah for experimental, quirky food combinations that work; Grove for some of the best dinner Grand Rapids has to offer; Jonny B’z for hot dogs that rival Yesterdog (shhh! ); The Greenwell for gastropub classics; and Uncle Cheetah’s for delicious and heartwarming soups. Now that your belly is full, you may need a nightcap or two to settle your stomach and come out of your food coma–no worries, East Hills has a great variety of bars and breweries to choose from. Come to Brewery Vivant for Belgian-style farmhouse ales, Elk Brewing for innovative, thirst-quenching brews, the Pickwick Tavern for drinks in one of Grand Rapids’ oldest bars and The Meanwhile for samples of cheap and craft beer in one of Grand Rapids’ quirkiest neighborhood bars. There you have it. 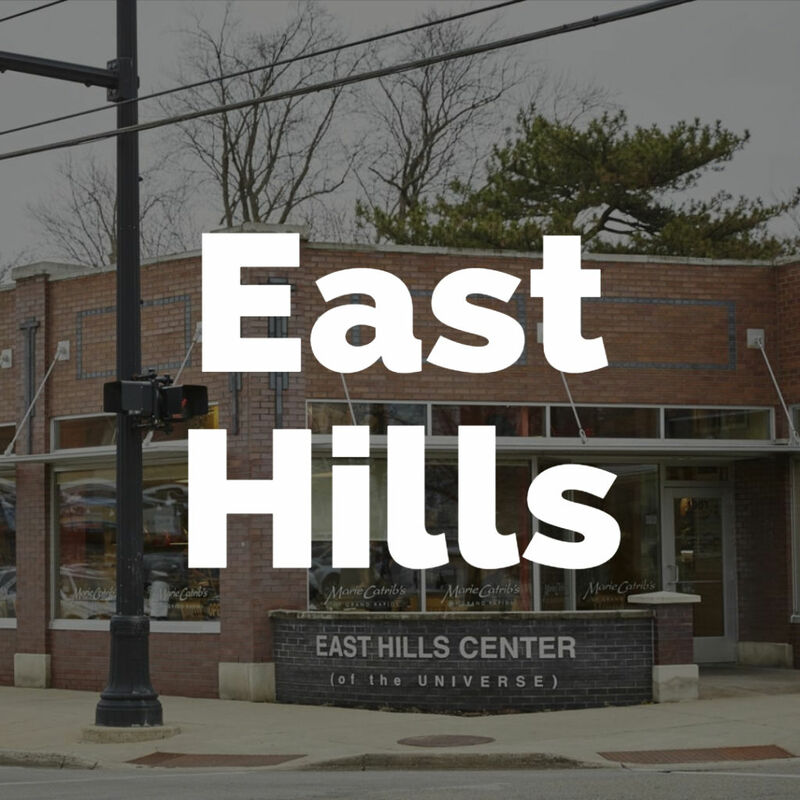 You can see why East Hills is definitely one of the coolest neighborhoods in Grand Rapids, and has a wide variety of food and drink to choose from. Are we missing any restaurants or drinking establishments that we missed? Drop us a line and tell us! Thanks for reading Blu House Properties’ insider guide to East Hills!